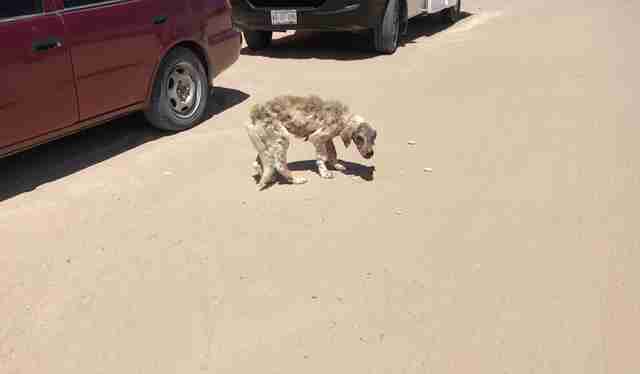 In May, Moncho Camblor was driving to get some painting supplies in Puerto Penasco, Mexico, when something made him step on the brakes — there was a small, skinny dog running along the road, and he was missing patches of fur. 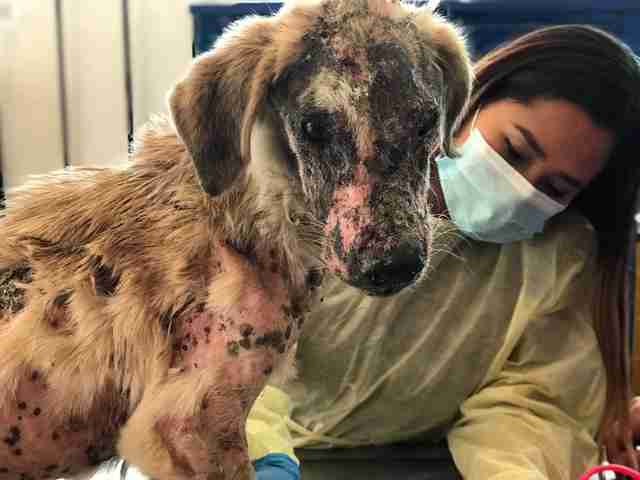 In this part of Mexico, people often let their dogs roam freely, and it’s common to see dogs on the road, according to Camblor, cofounder of rescue group Compassion Without Borders (CWOB). 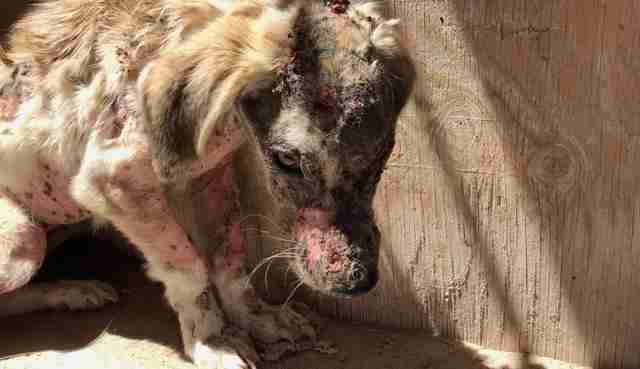 But Camblor could see that this particular dog didn’t belong to anyone, and that he had a bad case of mange, a contagious skin condition caused by mites burrowing in a dog’s skin. “He was getting more relaxed with me and enjoying the treat,” Camblor said. After that, the dog, who was later named Beto, wandered onto a local family’s property, and Camblor followed him there. It turned out that the family had been feeding Beto and giving him water, and even letting him sleep underneath their truck — but Beto didn’t belong to them, and as a low-income family, they didn’t have the financial resources to take him to the vet. When Camblor explained that he wanted to rescue Beto, the family was eager to help — they managed to get a lead around Beto’s neck, so Camblor could take Beto with him. But little did Beto know that his life was about to change for the better. 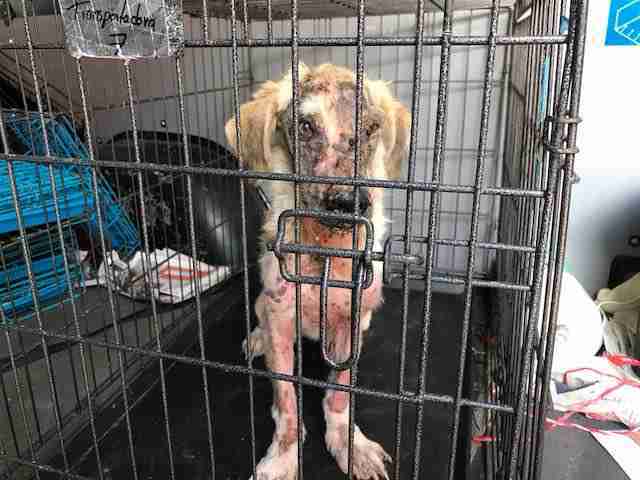 Camblor whisked Beto to CWOB’s vet clinic, where he got treatment for his mange, which had turned into a nasty skin infection. He also got a warm bath, a good meal and lots of love and attention. 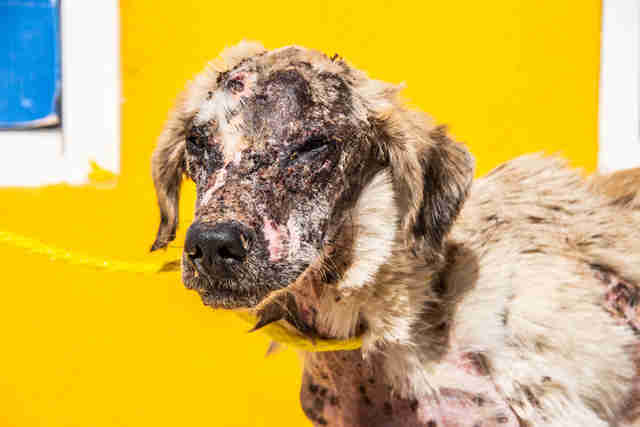 After spending a few months at the rescue center, Beto’s skin healed and his fur grew back, and he blossomed into a healthy, happy dog. 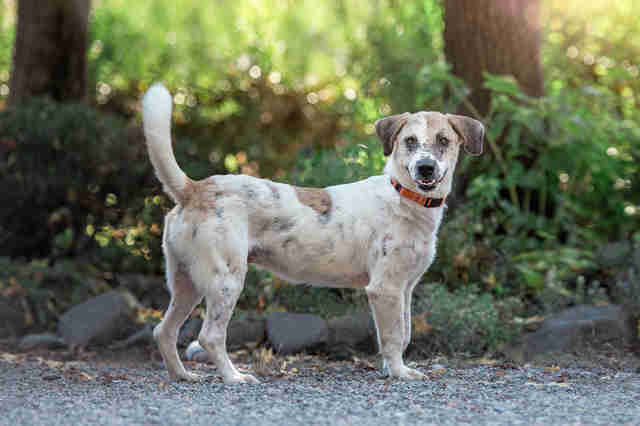 In early September, Beto moved to California so the CWOB team could help him find a forever home — the adoption team likes to meet potential adopters, so they’re hoping to find Beto a home nearby in California. While Beto isn’t the most adventurous dog, Camblor explained that he loves going for walks and spending time with people. 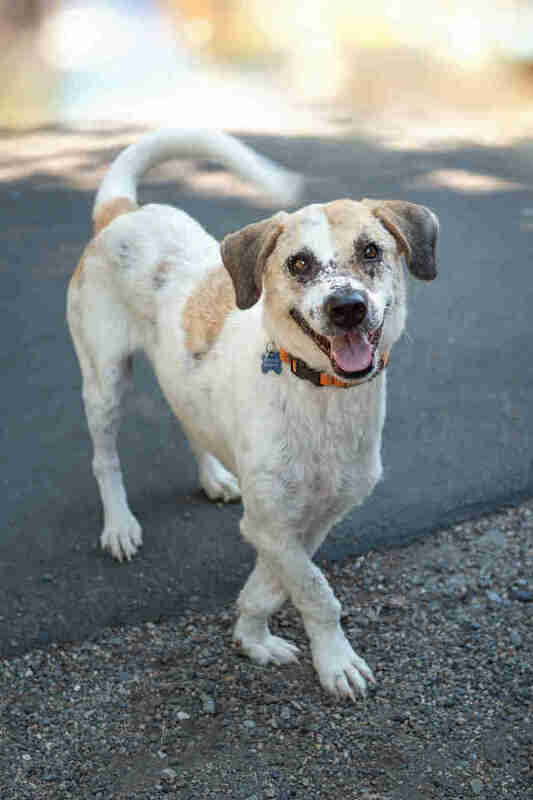 If you live in California and you’re interested in adopting Beto, you can contact CWOB.